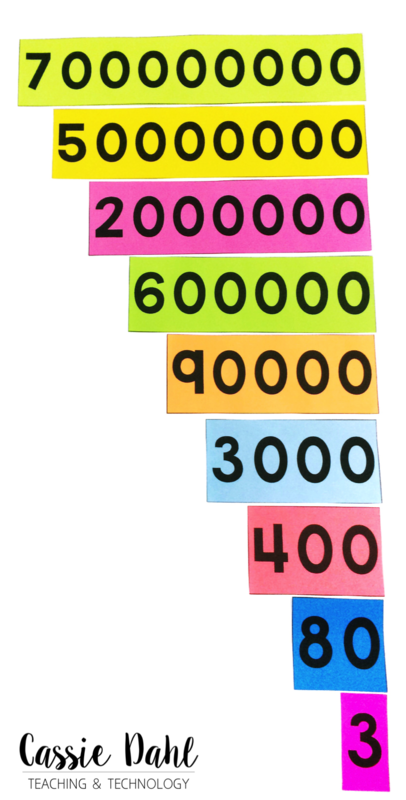 At the beginning of every year, I like to spend a few days reviewing place value with my students. Our math curriculum moves very quickly. After the "summer slide" it is always important to review those key concepts with my students before moving on. 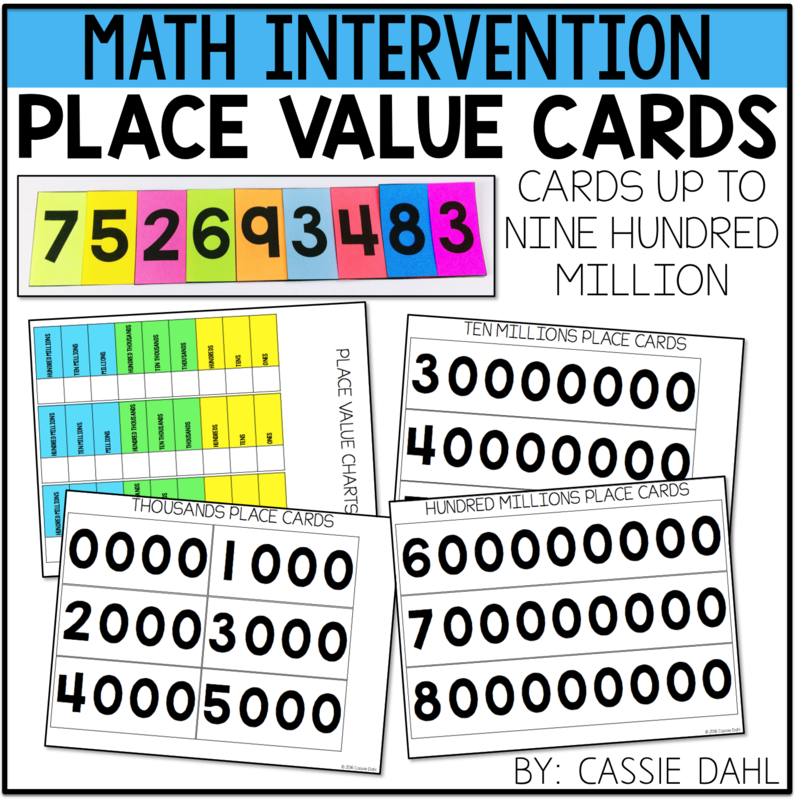 Place value is one of those things that some students really struggle with. 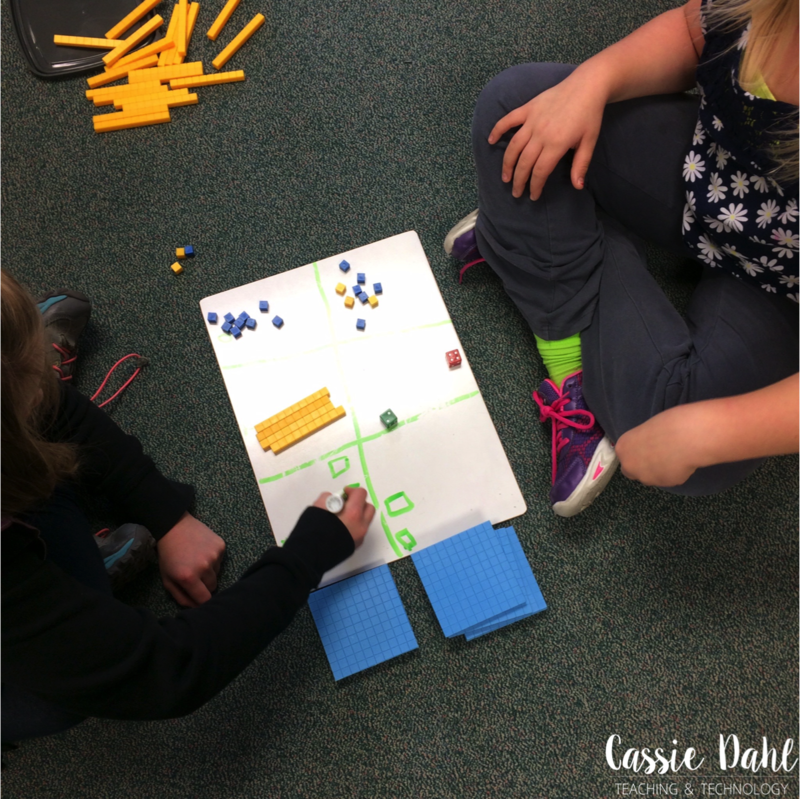 I love this place value game that we play. 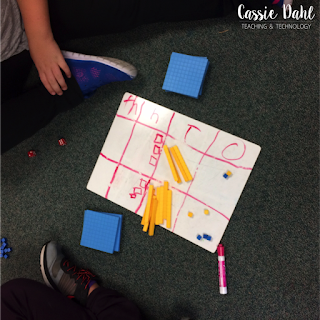 It is super simple to set up and easy game to play on the fly when you have a few extra minutes! 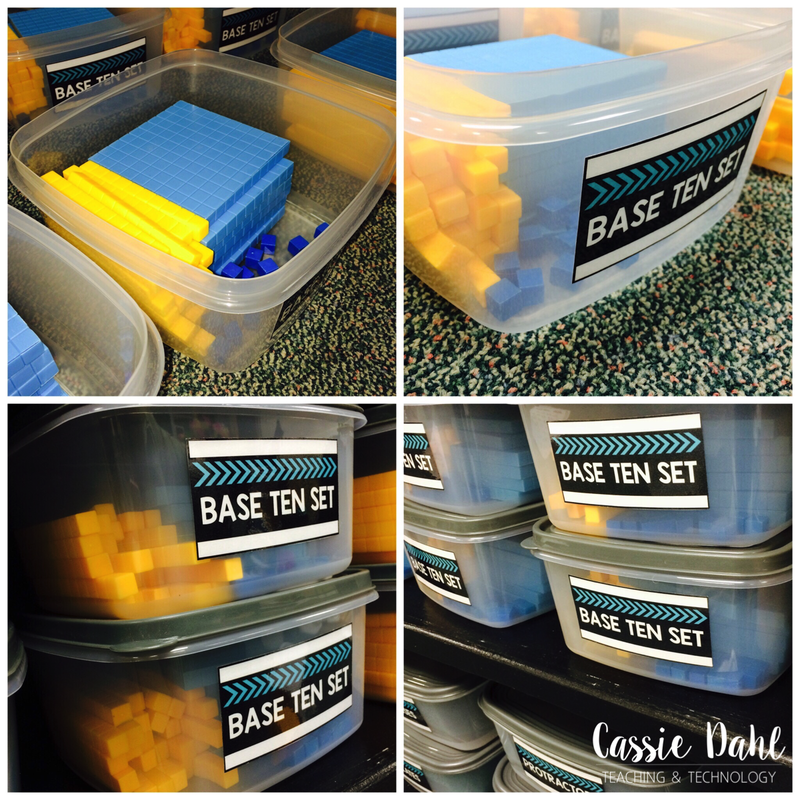 Students play in partners and it helps to have base-ten blocks. 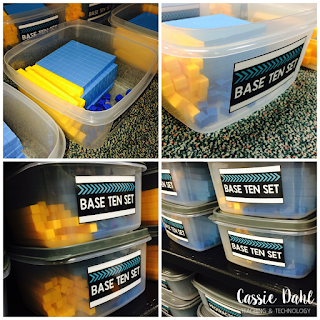 I organize my base-ten blocks in a small containers that have flats (100s), longs (10s) and littles (1s). This way when my students need them, they can quickly grab them! To play the game students will need to draw a grid on their whiteboards (if you don't have whiteboards a large piece of construction paper will work too... that way you can use it over and over). Students will need either a 3 x 2 grid (if practicing ones, tens and hundreds) or a 4 x 2 grid (if practicing ones, tens, hundreds and thousands). On the 3 x 2 grid, students are working to get to the flat (100) first. 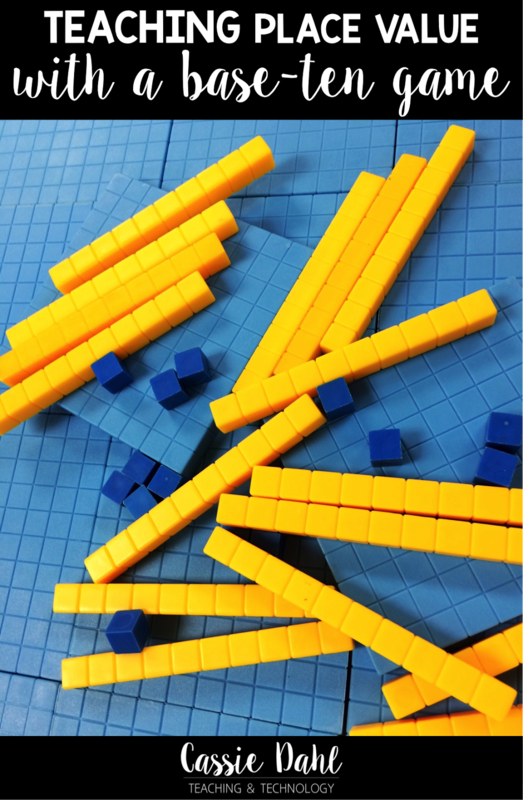 They take turns rolling a die and adding the correct base-ten blocks. After they get 10 in the ones they make a trade to get a long. Play continues until one player makes enough trades to get a flat. 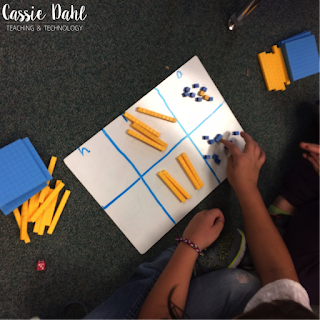 On the 4 x 2 grid, students are working to get to the large cube (1,000) first. They take turns rolling two dice and making a two-digit number of their choice. (For example: student a rolls a 4 and a 6. They could either make the number 46 or 64. They will want to make the largest number possible.) 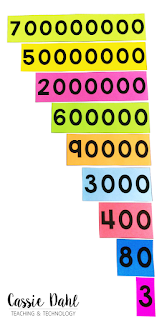 Students will need to add both longs and littles to get the total number that they added to their score. They make trades the same as in the first game, only this time they are working to get to a large cube (1,000) instead of just a flat (100). To transition my students into the numbers, we start to just write the numbers on the grid and erase as we make trades. 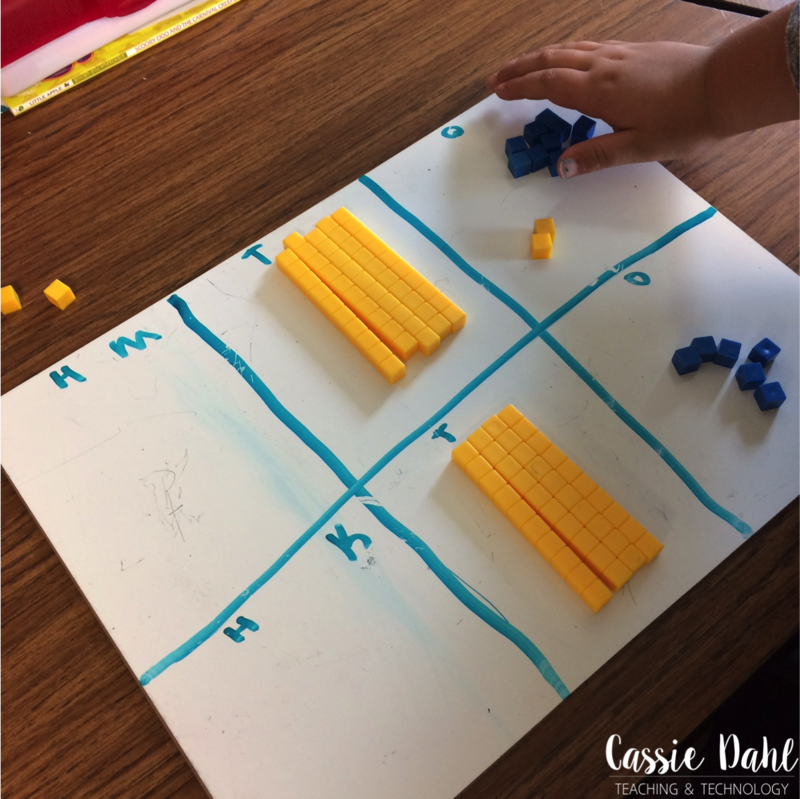 This reinforces addition and really strengthens their understanding of place value. 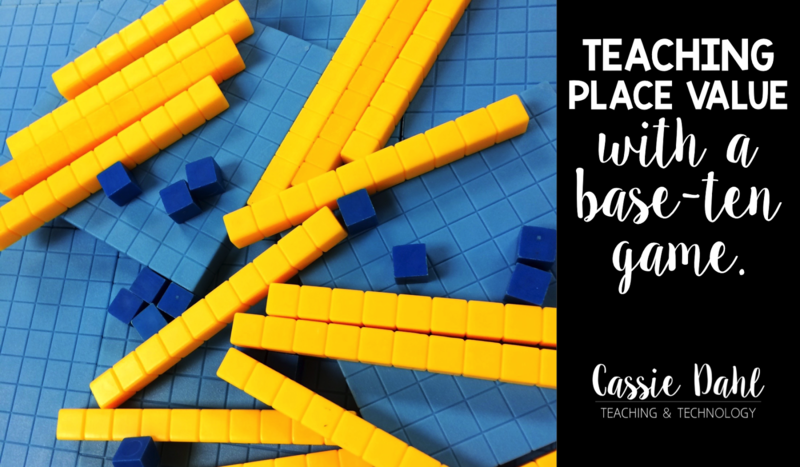 We have only played the game twice (once with the 3 x 2 grids and once with the 4 x 2 grids) so we will be writing the numbers the next time we play (except for my struggling kiddos... they will continue to use base-ten blocks until they are confident in their skills). For my struggling students, I like to give them some extra practice breaking down numbers and focusing on the place value of each of the numbers. I use these cards to give my students extra practice and it is also the perfect thing to use when introducing Partial-Sums Method for Addition or Partial-Products Method for Multiplication. Want the cards for your classroom? Click here to check it out in my TpT store. 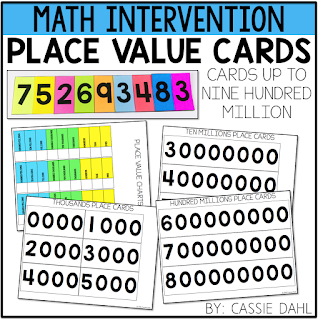 How do you teach/review place value with your students? Want to save this post for later? Pin the image below to save and share.